State Duma adopts bill on status of meetings between imprisoned parents and their children | Russian Legal Information Agency (RAPSI). 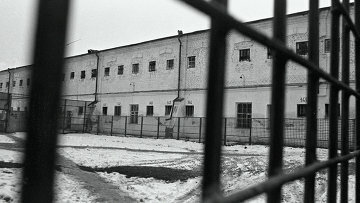 MOSCOW, July 12 (RAPSI) – The State Duma has passed in the third and final reading a bill allowing meetings between imprisoned parents and their children, the database for the lower house of parliament reads on Wednesday. The bill introduces changes to the Penal Code of Russia. According to the chairman of the State Duma Committee on Security and Counteracting Corruption Vasily Piskarev, these amendments are enforcing Article 9 of the Convention on the Rights of the Child. In particular, they allow to maintain connection between children and parents and avoid potential negative consequences for a child’s emotional and psychological state caused by a prolonged separation. Authors of the bill propose to allow convicted mothers of a child under the age of 14 or a child with disabilities to visit their children outside a penal colony for 15 days, two times a year in the first case and four times in the second one. Convicted fathers will receive the same right if they are single parents. The bill does not concern people convicted of crimes against children and teenagers as well as several other categories of inmates convicted of crimes of increased public danger. 12:26 12/07/2017 The State Duma has passed in the third and final reading a bill allowing meetings between imprisoned parents and their children.